In the last decade, the comics-in-education movement has experienced exponential growth in scholarship, pedagogy and classroom use. Our excitement is only enhanced by the world-wide cultural acceptance of superheroes (the stereotypical American icon for comics) as well as other comics literature. Movies, sitcoms, reality shows, apparel and toys: comics are everywhere. 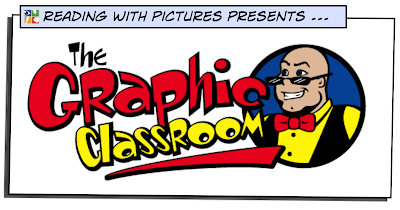 The geek is now chic and with that educators are more open to comics in the classroom as an academically rigorous activity attached to standards. 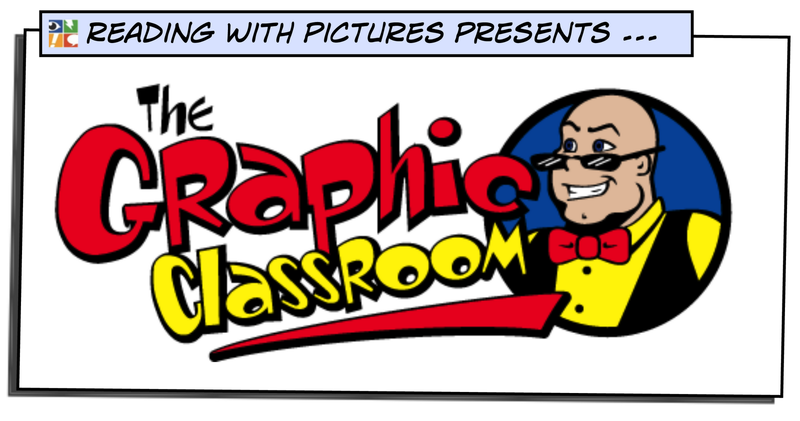 The Graphic Classroom and Reading With Pictures began talks last year of combining our efforts toward comics literacy and education. It's been an exciting time for us all. RWP has been re-publishing TGC reviews to their website while my staff and I have taken a small hiatus. We have, after all, been publishing weekly for many years and we get tired. Now, we back at the keyboard and ready to write more reviews for you, our dedicated readers, most of whom are educators or related to the education field. Change your bookmarks. Head to Reading With Pictures and find us over there diligently working to easily give you the tools you need to lead students to a place where they love reading for enjoyment. We do this for you and them and the world and we do it for free. We love your commitment as ask that follow up at Reading With Pictures where you will find a cornucopia of comics-in-education information. While at a conference on comics in education, I ran into Tegan Conner, a youth librarian, who was an avid fan of comic literature who attended one of my sessions. Lucky for us, she joined TGC team of writers and lovers of reading. Conner has been in public libraries since she can remember. She started out as a library patron until her first library job at age 16 as a circulation clerk. Since then, she picked up her Bachelors in Library Science (K-12) and then a Masters in Library and Information Science, where she studied youth services. She is currently the Youth Services Librarian at Wissahickon Valley Public Library outside of Philadelphia, PA. 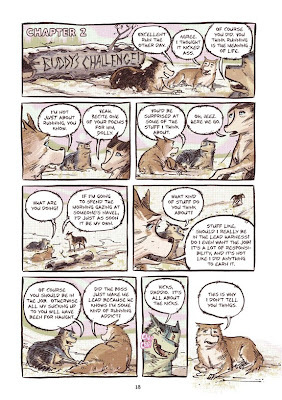 Her interest in graphic novels started with a Disney book that she didn’t realize was a graphic novel. She enjoyed the art work and the format, but as time moved on, she turned to books. She was reintroduced to comics and graphic novels in her teens thanks to anime, which lead her to manga, then to comics (mainly DC) and graphic novels in general. 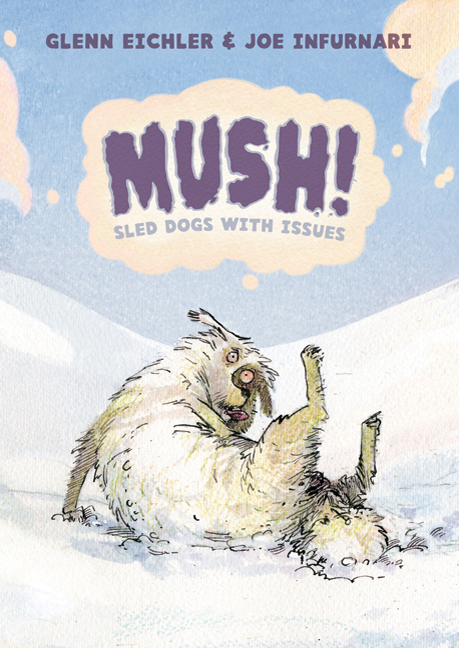 When it comes to graphic novels, her primary focus is graphic novels in the library. Other interests include social networking and the library, video games, crafts, and generally being a nerd or geek. 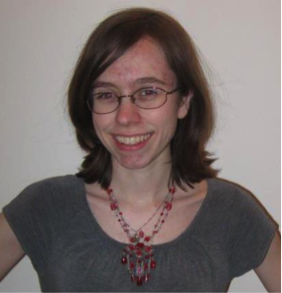 With her blog, ReadsRantsRaves, she mainly reviews graphic novels for librarians. Welcome aboard, Tegan. We are glad to have you. Remember, kids. Comics are not just for boys. That's an old stereotype that is grossly misguided. The SIGN OF FOUR is a graphic adaptation of Sir Arthur Conan Doyle’s classic mystery featuring Sherlock Holmes and his partner, Dr. John H. Watson. 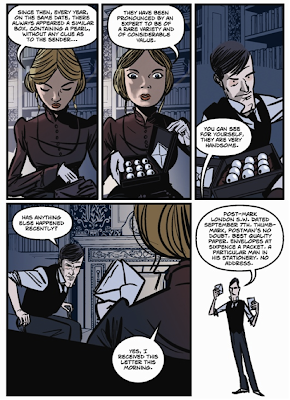 Part of their Crime Classics line of comic literature, British graphic novel and manga publishing company, SelfMadeHero, set out to adapt not only THE SIGN OF FOUR, but THE HOUND OF THE BASKERVILLES, and STUDY IN SCARLETT, and THE VALLEY OF FEAR. Each novel is a must have for any fan of Holmes’ mysteries. The novel opens with Holmes injecting himself with a cocaine solution in order to combat his lack of activity in solving crimes and mysteries. We are then introduced to the lovely Mary Morstan, who delivers what plans to be one of Holmes’ and Watson’s most exciting adventures. Ms. Morstan’s father disappeared some ten years ago, and since then, she has been receiving an anonymous gift each year on the anniversary of his disappearance. Morstan finally seeks Holmes’ advice after receiving a letter to meet claiming that she is a “wronged woman who shall have justice.” What follows is the thrilling pursuit of truth concerning the mysterious “sign of four.” Buried treasure. Feuding rivalries. Murder. What’s not to love about this story? I have to admit to being quite a Sherlock Holmes snob. I fell in love with Conan Doyle’s stories of the genius detective in college and have since read and reread them many times. Although the Robert Downey Jr. films are exciting, I was disappointed at how they strayed from the short stories. So, when I picked up THE SIGN OF FOUR by Ian Edington and I.N.J. Culbard, I was skeptical. However, Edington’s adaptation of the original text is beautiful, so much so that I found no need to peruse the original text. Edington sounds like Doyle’s original, and I quickly became lost in the story. 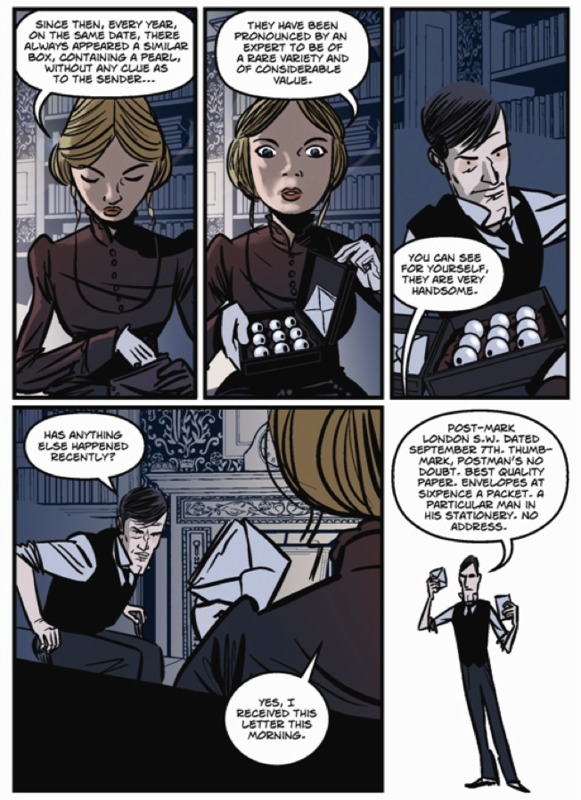 Culbard’s style is perfect for introducing students to Sherlock Holmes. 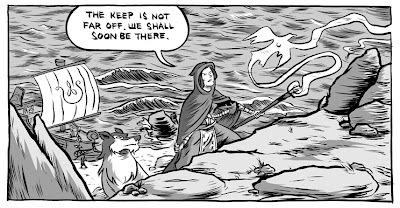 He draws in an almost cartoonish way, yet still maintaining a very 1880’s European feel. My only criticism is of how he draws Holmes himself. Again, I feel a bit biased toward the Jeremy Brett BBC series of the 1980’s. Brett played Holmes for ten years, and to me, represents the perfect portrait of the cold, deductive detective. 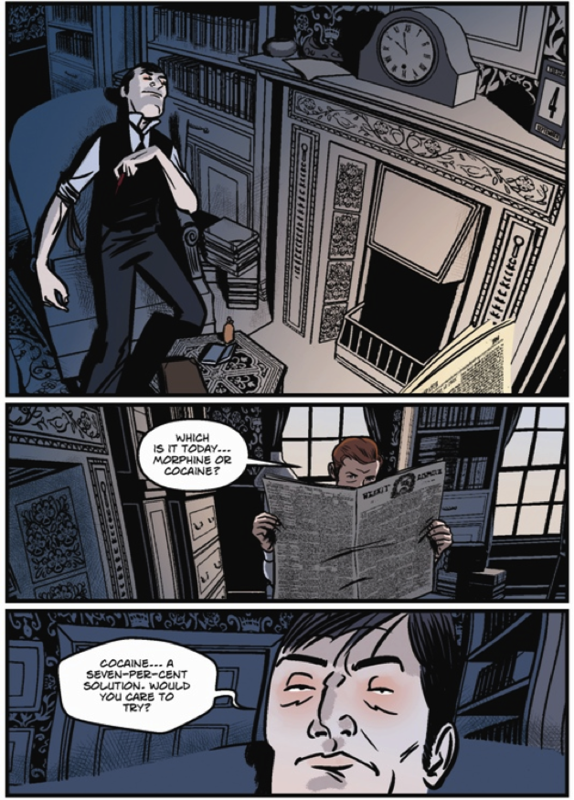 In this graphic adaptation, Culbard drew Holmes’ face with such a large chin, that I found myself distracted for the first thirty pages. I admit, however, that this is my own problem. 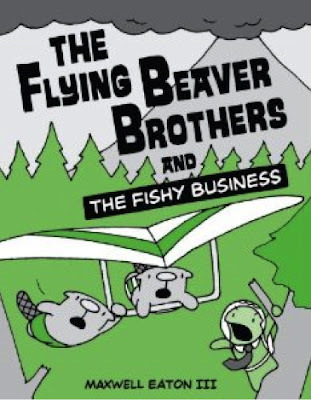 For students, Edington and Culbard pair text and picture so cleverly, that even during complicated plot points, the reader can still follow the narrative. You can tell that creating this classic adaptation was a very collaborative process between Edington, Culbard, and Doyle’s original text. I am very pleased with how faithful they are to both the story and the character development. When having students either take notes on these items, or analyzing any mystery, Sherlock Holmes is wonderful at teaching students the power of observation, deduction, and logic. 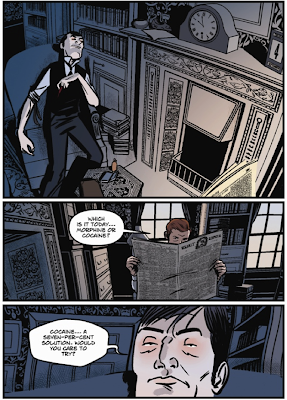 For example, Holmes is a master at scanning the presented information and choosing only the most important details. In "The Adventure of the Reigate Squire," Holmes says himself, “It is of the highest importance in the art of detection to be able to recognize out of a number of facts which are incidental and which vital. Otherwise your energy and attention must be dissipated instead of being concentrated." What a perfect role model for making conclusions solely based on facts, not opinions. Even at the university level, I could see a science or philosophy professor using Sherlock Holmes as an example for analytic reasoning. No matter the age level of students, Holmes is a great example of the life-long learner whose sole desire is to seek out the truth. Holmes’ character development throughout many mysteries is also noteworthy as a possible character study. 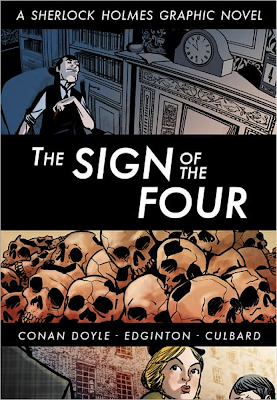 Due to Sherlock’s blatant drug use in the first pages (despite Watson’s medical pleadings to stop), I recommend THE SIGN OF FOUR for middle and high school classrooms. At the teacher’s discretion, I could see parts of this story used in lower grades, but there tends to be quite a bit of murder in Holmes’ mysteries. Neil Barton is your typical thirteen-year-old: he’s unsure of himself, awkward, shy, and spends most of his time alone with his nose in a book. 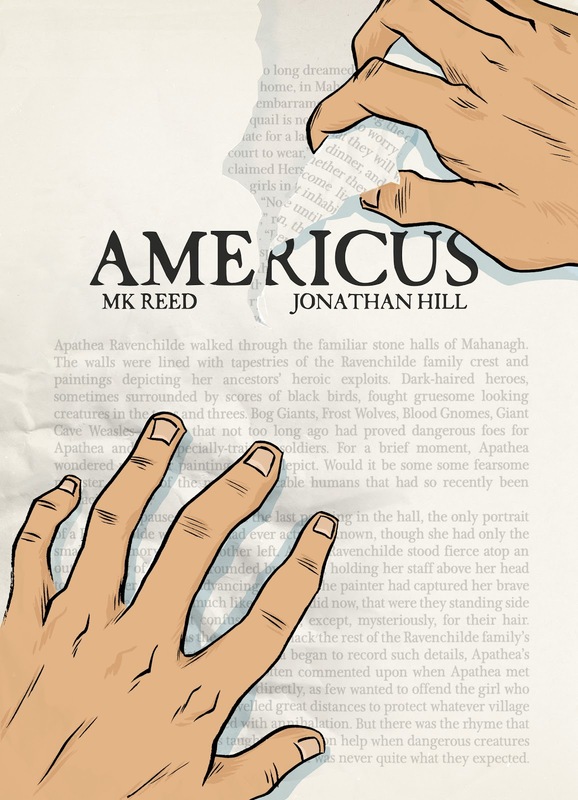 AMERICUS, written by MK Reed and illustrated by Jonathan Hill, is a coming of age story set in a small town in Anytown, USA. Neil, our main character, uses the local library in his small home town of Americus as a safe-haven to the discomfort of junior high school. There, he and the young librarian introduce us to the fantasy world of Chronicles of Apathea Ravenchilde, the Huntress Witch, a Dungeons and Dragons inspired young-adult novel series. 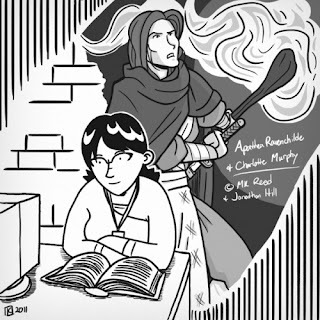 However, it isn’t too long before the conservative Christian citizens in town begin publically ousting the Apathea series as “unfit for the souls of our youth.” Neil must battle the town’s conservatives to prevent the Apathea series from becoming banned in the library; meanwhile, Apathea must battle her half-dragon brother in order to save her kingdom. MK Reed does an impressive job blending these two stories as each protagonist battles his/her own conflict. Themes of censorship and adolescent rebellion are prominent throughout AMERICUS, and can be great launching grounds for classroom discussion. 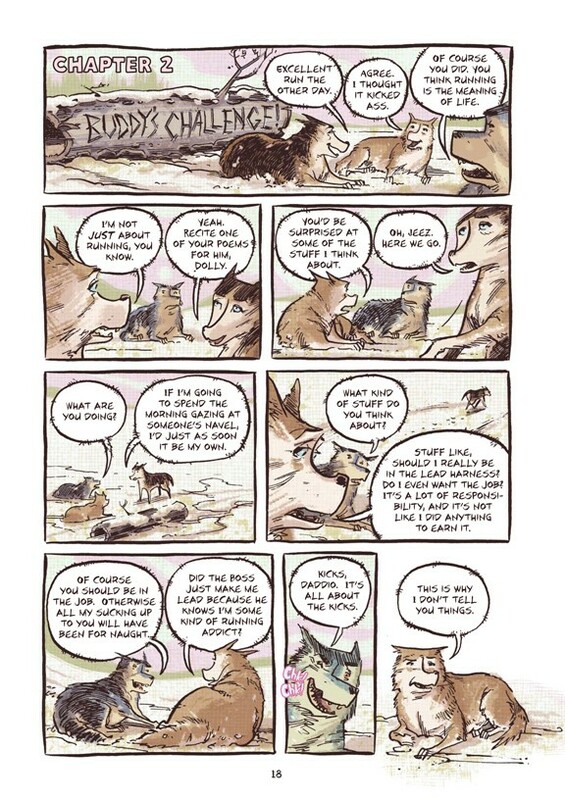 Reed’s characters and setting are believable. Readers can assimilate into the anonymity of Americus and its town’s residents, while simultaneously feeling sympathy for Neil’s teenage angst. 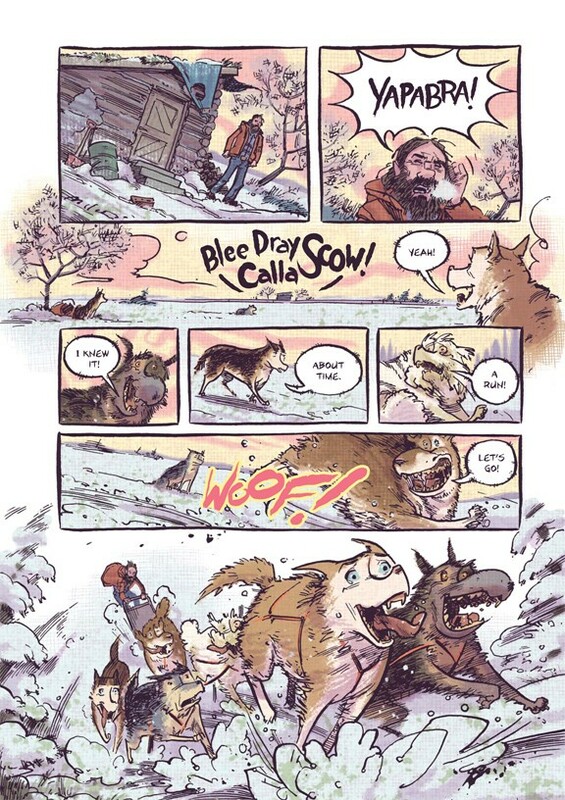 Although Reed writes believable dialogue, Jonathan Hill’s illustration style creates actual human beings with actual problems and true emotions. He doesn’t draw a lot of details, yet his use of black and white makes the book realistic in its depiction of Middle America happenings. As the AMERICUS flashes into the story of Apethea, Hill begins to use more generous strokes of ink wash. He illustrates more shadows and varying shades of gray, giving the fantasy world a very appropriate Lord of the Rings look. What is most intriguing is how Hill blends the fantasy and reality using his pen. Readers have no difficulty in discerning which story one is reading, but the combination of these two different worlds is never drastic and shocking. It is as though both sets of characters co-exist simultaneously to give refuge for uncomfortable teens looking to escape to a different world. It would be very easy to steer clear of AMERICUS, due to the controversial themes presented. Especially in elementary school, teachers don’t usually jump into discussions on censorship at the hands of conservative Christians. There is talk of the sin of homosexuality; in fact, Neil’s best friend, Danny, gets shipped off to military school because of his love of the Apathea series and the fact that he is gay. His parents don’t seem to place either on a spectrum, but instead claim that one is the cause of the other. Nonetheless, I think AMERICUS is a great tool for teaching the more sophisticated technique of writing a frame story. Frame stories, or a story within a story, are an effective way of comparing and contrasting different characters, settings, and themes. Successful writers have often used this technique to show the reader how people are not only influenced by their interactions with other characters, but storytelling (think Hamlet’s play within a play, i.e. : The Mousetrap). 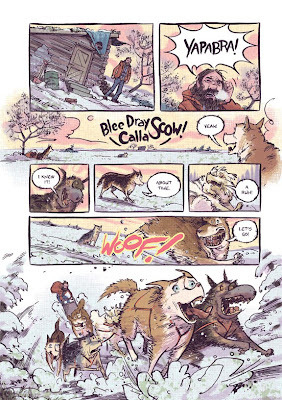 Since AMERICUS does such a fantastic job visually representing a frame story, it makes sense to use this graphic novel to teach students how they can incorporate one in their own fiction. How do you know we are entering the world of Apathea? When do we enter this world? What purpose does it serve the main plot? How are these two sets of characters related? Compare and contrast. How are these two settings related? Compare and contrast. It is oftentimes appropriate to dissect the two plot-lines so that students can see them running parallel to one another. You can use a Flow Chart to map out the key plot points of each narrative, while noting when and why they intersect. 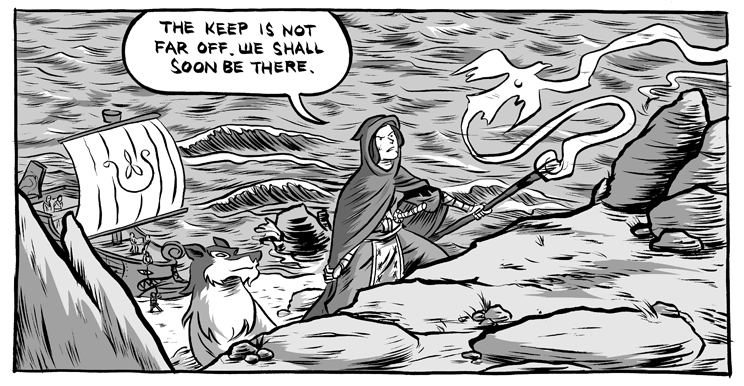 As Neil fights to save his beloved Apathea series from being banned, Apathea fights her own battles. Both characters grow from the process and emerge stronger. Students should start thinking about other narratives that either offer similar thematic elements, such as conflicts, or similar characters to their own narrative piece. Incorporating one story into another takes time and trial and error, but I feel that AMERICUS is a good model for doing this well. 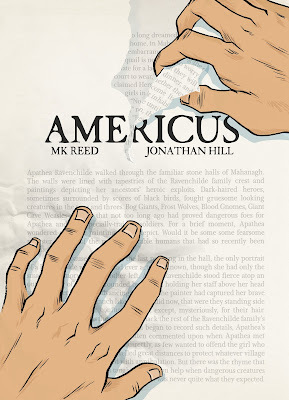 I highly recommend AMERICUS for Writing and Literature classrooms grades 6 and up, especially for high school. I recommend with reservations using AMERICUS in the elementary grades due to the references to religion and homosexuality. You could use the frame story technique in fifth grade, but only toward the end of the school year when students are more proficient writers. AMERICUS’ readability is targeted for ages 12+, and MK Reed writes with this demographic in mind. Middle school students can easily relate to Neil, his adolescent woes, and his need to escape into the realm of fantasy literature.